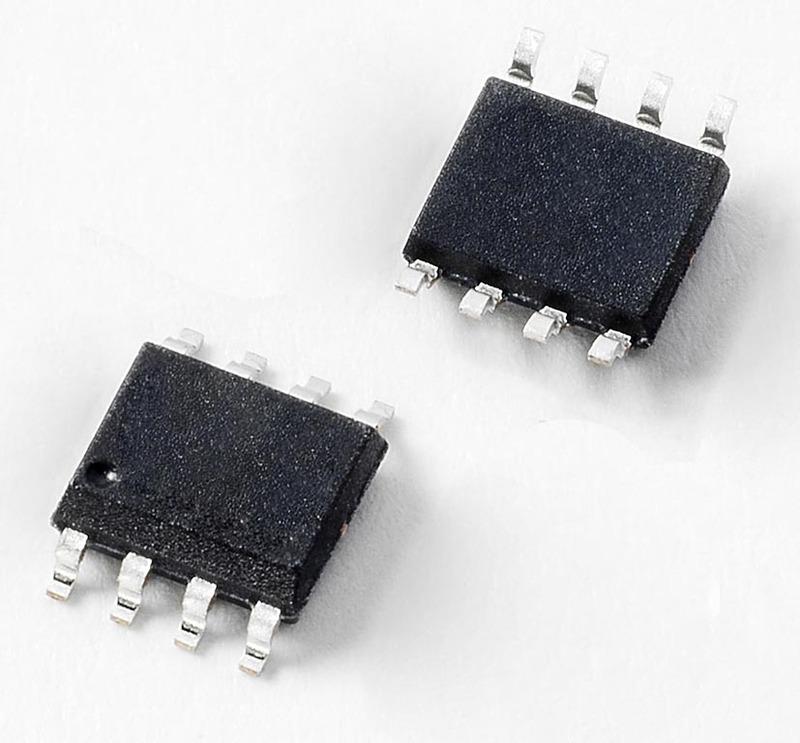 Littelfuse introduced the first of a series of TVS Diode Arrays (SPA® Diodes) designed to protect two lines of 10/100/1000BaseT Ethernet ports from damage due to sustained overcurrent and overvoltage. Through-package routing permits the SP4031 Series Hybrid Protection Module’s circuitry to protect an Ethernet PHY chip from damage due to events such as electrostatic discharge (ESD) and lightning-induced surge. The SP4031 Series’ low loading capacitance (just 2.5 pF per I/O) and high surge handling capability (up to 35 A) make it ideal for protecting Ethernet and other high-speed data interfaces. Typical applications for the SP4031 Series Hybrid Protection Module include 10/100/1000BaseT Ethernet, (ITU K.21 Basic level compliance), as well as integrated magnetics, or ADSL/VDSL/G.fast modem, and Industrial Ethernet and smart TVs. The SP4031 Series Hybrid Protection Module is available in an SOIC-8 package in tape & reel format in quantities of 2,500. Sample requests may be placed through authorized Littelfuse distributors worldwide.